Join us in the back-country wilderness for a journey filled with beautiful sights that are photographic and artistic sketching opportunities. Our journey begins in the morning. We will be deep in a secluded canyon, where time is measured in centuries, even millennia, in the sandstone cliffs of this ancient place called Limestone Canyon. You will board a 4-wheel drive vehicle for a 13-mile tour of the canyon and hills surrounding it. We will stop frequently for 15-30 minutes to admire the views, take photos, sketch landscapes, and answer questions. Stops will include short walks with views of The Sinks, a trip up Cactus and Markel Spur, with optional, single track, one-mile hike into Box Springs or a 1.5 mile Markel Spur to East Sinks loop hike. 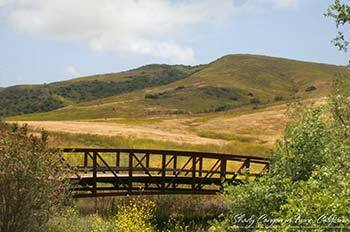 Both the Box Springs and Markel Spur hikes provide the visitor a true back-country experience. An alternative, but similar, hiking trail may be used. 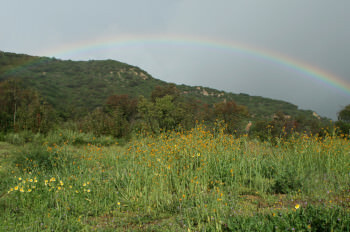 From the Augustine Staging Area, we proceed up an old ranch road that was paved to provide access to Irvine Lake and the mines in Black Star Canyon. 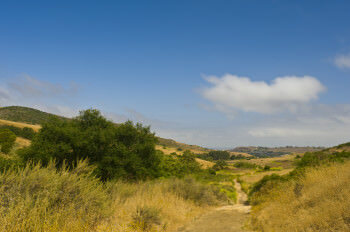 At the research center, we head off-road up a narrow, windy, and sometimes bumpy trail to Loma Ridge and beyond. Bring your camera equipment, sketchbook, or just enjoy the ride.